The holidays are fast approaching and we have a series of posts coming to you that involve good gift ideas for the adventure traveler, national park enthusiast, city/small town traveler, international traveler and photographer in your life! First up is our list of ideas for the Adventure Traveler in your life. 1. We have to start with our Hashtag59 Iceland Photo Series. These are one of our two 2017 Limited Edition Print Sets and can be found HERE! Both Mike R and Amy K have been to Iceland and they have gathered what they believe are their four most iconic and amazing prints from their travels. You can have them in time for the holidays, shipping is included and each one will be matted, sleeved, and signed by us. The full set is 25% OFF for the holiday or each single print is available here! Namafjall Iceland Single Print. Frame not included. 2. Lonely Planet Book: Perfect gift for either the next adventure on their list, or even a coffee table book on the entire world! If you have never tried out Lonely Planet give it a try, they will show you places you can never find on a map and local spots that you could only discover by living there! 3. Conquest Maps Push Pin Map: Great for your adventure traveler to add to the places they have gone, places on their wish list and more! It's an outstanding way to get amped up for your next trip or have fond memories of your last one! Our friends over at Conquest really like the Golden Aged World Map! 4. Camelbak Water Bottle: These are great for everyone....you can bring them hiking, to the airport or overseas. With the access of no contact water bottles and the importance of not using plastic water bottles this is a MUST have! 5. Happy People Hike T-Shirt It really is true isn't it?! It's proven that the more you hike and spend time in the outdoors the HAPPIER you will be. So why not give the gift of happiness to someone you love from this wonderful brand?! 6. REI Daypack: Who doesn't need a daypack? As a bonus, this one is small enough for a hike, as a carry-on for the plane and to traverse through busy streets. Mike R uses his now as his primary luggage carrier whenever traveling by planes, trains, or automobiles! 7. 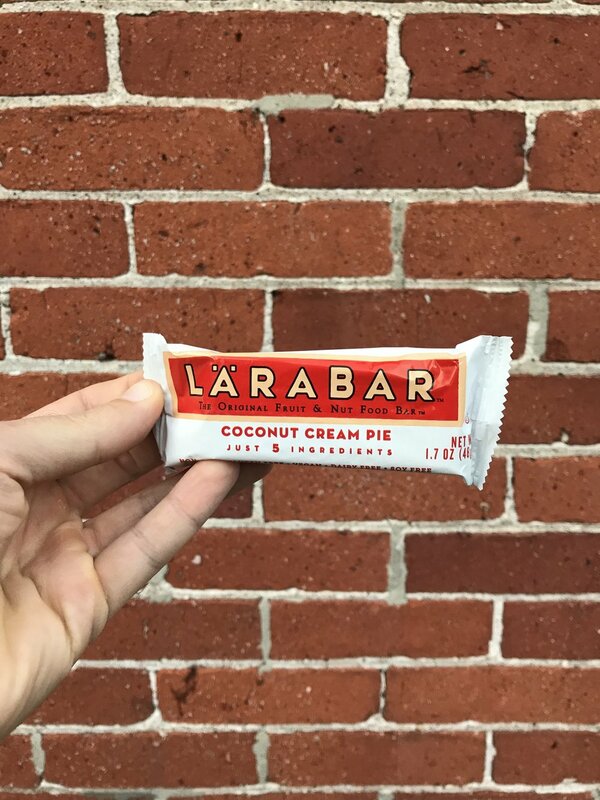 Larabars: We love these because they are made with real ingredients and keep your energy levels up! If you want to eat whole foods but still have some of those sugar cravings Larabars will get ya through! Coconut Cream Pie, Chocolate Chip Cookie Dough, and Cashew Cookie are some of our favorites! We don't travel or hike without them. 8. Bike Central Jersey: The founders of Frosty Cross have great bike jerseys that will be perfect for spring rides! Let them hit the road in style and make sure they pay a visit in their jersey with us to Frosty Cross in 2018! Even in a National Parks bathroom the jersey looks cool as you can see below! 9. Warrior Wear Yoga Shorts: If you want to get on the mat in style both on and off the road then these yoga shorts are for you! This gift is perfect for any guy in your life that loves the yoga mat. The Wallace is Mike R's favorite and wears them as much as he can do laundry! Plus you are doing business with an entrepreneur who cares. Owner and founder Jered S can be found on the Hashtag59 site HERE! Yoga even on a boardwalk with your Warrior Wear Gear!